The sound of water in an outdoor space can relax even the most stressed of people. Trickling and bubbling water from a nearby fountain or pond remind us to slow down, enjoy nature, and appreciate the simple pleasures in life. And if you want something more significant than some trickling water, that can work too. Walking out to your backyard on a hot summer day to go swimming in your pool is a luxury you too can enjoy. Swimming is not only refreshing and calming, but it is also great exercise and is something your kids will absolutely love playing in. 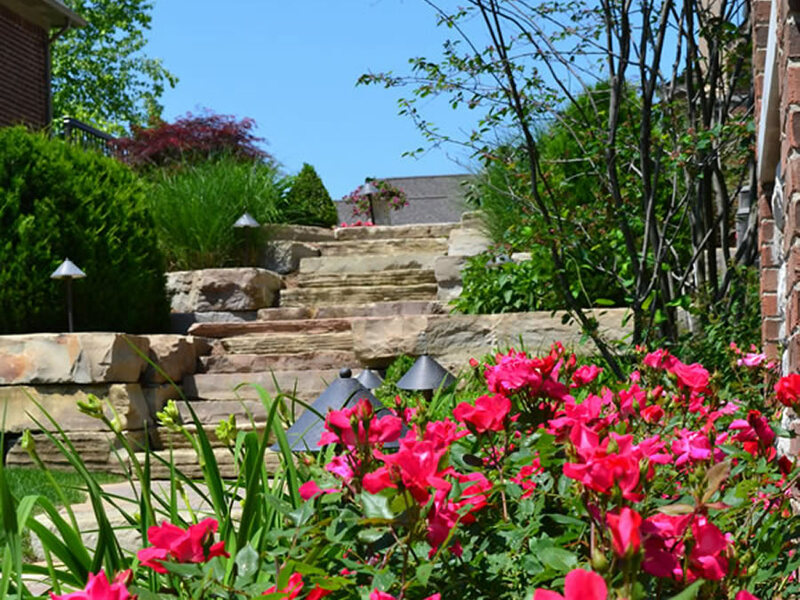 If you have a specific place you want your pool, you have certain features you want to work around, or you have some sloping issues to consider, a professional landscape design company can help you work around these issues to get you the pool you love and that works in your space. A pond is a lovely water feature that can accommodate almost every kind of yard, big or small. They don’t take up a lot of space but they make a big impact. You can fill your pond with Koi fish or plant lotus-like water lilies to gracefully float on top the water. A pond is an excellent way to spend some extra relaxation time in your yard and can be used for a meditation spot or for reading a book. Unlike what you might have heard, water fountains aren’t water-guzzlers in your garden, and they can have their place just like the flowers and shrubs. If a water fountain is built with water-conservation in mind, the fountain will recycle the water from a pool or other source, and will feed it back into the fountain inlet to be used again. Fountains can be built in all kinds of style, shapes, sizes, and materials. They can be placed amongst the plants in a garden, or by itself. A lovely, trickling stream doesn’t just have to come with nature. 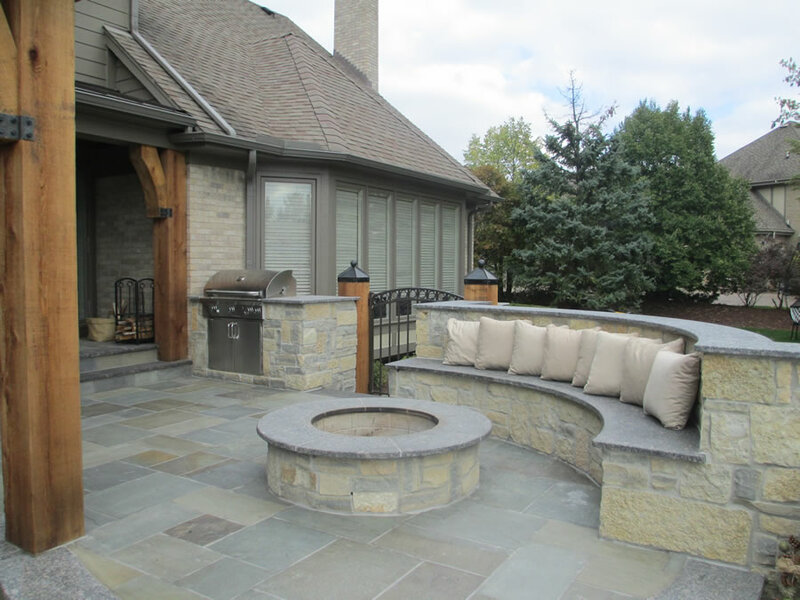 One can be man-made too with the help from a landscape design team. 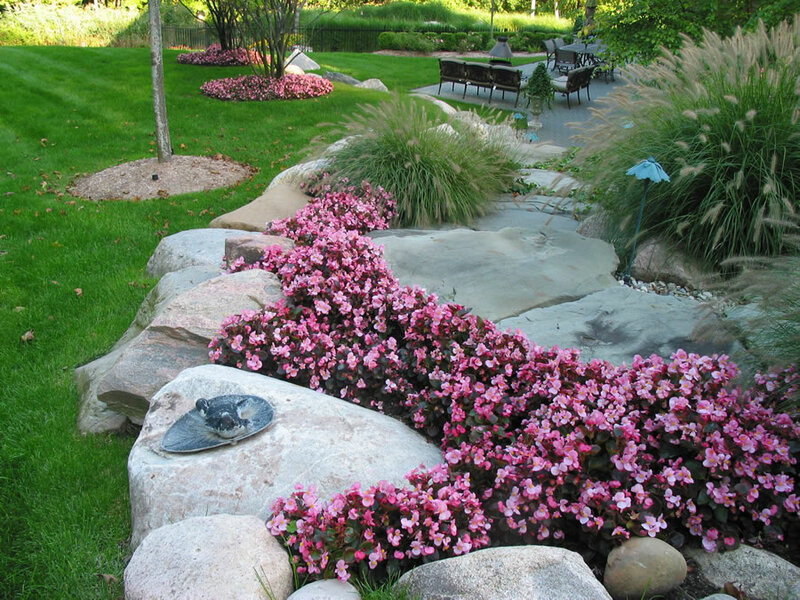 The professionals can excavate and rework your landscaping to accommodate some gently flowing water. And don’t worry if you don’t have a natural slope in your yard; man-made streams work very well when placed on level land, or one with a very slight slope. What is more beautiful and exotic than seeing a waterfall in nature? What if you could have one in your very own backyard? You can! With the help from a Bruce Twp landscape design company. 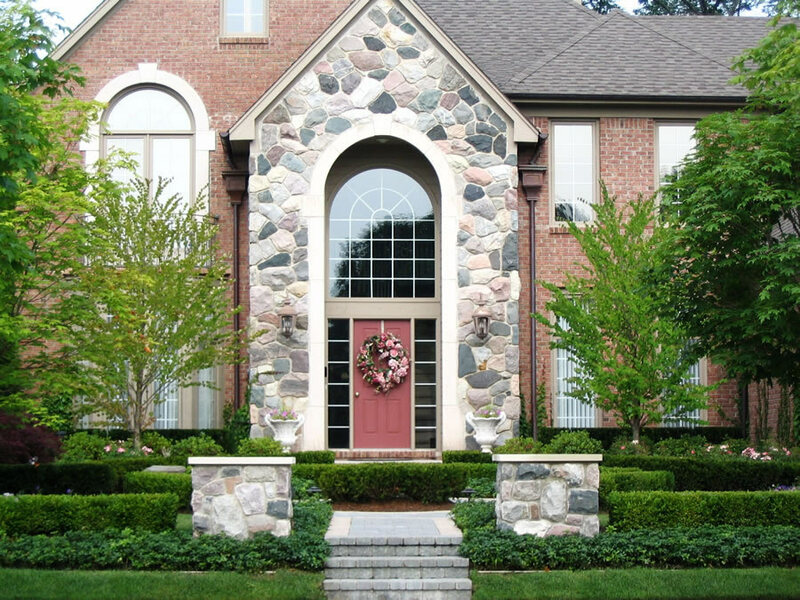 They can make your backyard look like something from a national park by manipulating your landscaping and layering stones to build the waterfall foundation. Hopefully, this article has tickled your imagination and has you dreaming of the many wonderful ways you can use one or more of these ideas for a water feature in your outdoor space. 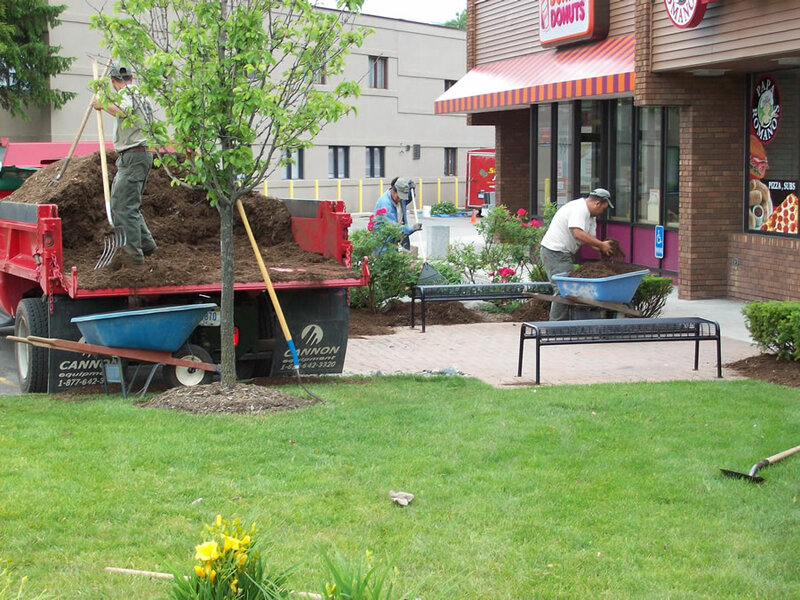 Contact Sinicori Landscaping if you’re ready to get started! We can be reached at 248-651-5400.